I’m stingy with my smoke. Not in a "don’t bogart that can, man" way. Just that if I’m going to go to all the trouble of stoking a hardwood lump charcoal fire, obsessively monitoring its low-’n-slow-ness for a goodly chunk of the day, feeding its greedy gut with beer-soaked mesquite and hickory chunks at half-hour intervals all for the sake of an albeit fabulous brisket or pork shoulder, I’m gonna want a bit more return on the investment. Here’s where foil pans of salt, cherries and lemons come in. 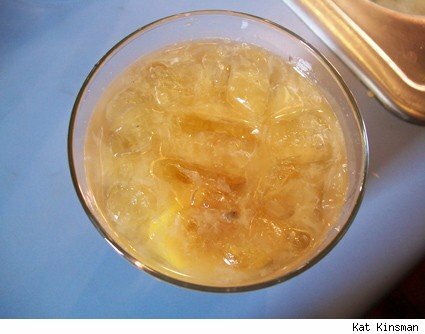 Read more about smoked lemonade and get the recipe at Slashfood. This entry was posted in Barbecue/Smoking, Writing on June 9, 2009 by Kat Kinsman.